Here we have another character request – in this case a shapeshifting psychic “special agent” for a semi-military game. Noita tends to enter the field most deceptively unarmed – not that it matters much when you can turn into a huge bear with deadly psychic powers. Shapeshift (Specialized, only as a prerequisite, 3 CP), Variants (Specialized, only to alter their personal appearance. While physically-based, this is essentially equivalent to Disguise Self and does not affect clothing or gear – although it does provide a +10 bonus to disguising themselves, 3 CP). Resistance, +2 on saves versus Sleep and Charm effects (3 CP). Adept: Changelings may buy Deception, Persuasion, Sense Motive, and Speak Language for half cost (6 CP). +2 Racial Bonus to their Adept skills (4 CP). Available Character Points: 144 (L5 Base) +10 (Duties) +10 (Disadvantages) +12 (L1 and L3 Bonus Feats) = 176. Skill Points: 24 (24 CP) +24 (Int) = 48 SP. BAB: +3, Corrupted/only for light weapons and unarmed/natural weapons combat (12 CP). Proficiencies: All simple and Martial Weapons (9 CP), Light Armor with the Smooth Modifier (6 CP). Armor Class: 10 (Base) +2 (Dex) +5 (+1 Chainmail Shirt) = 17, 21 if using Force Shield. As Bear: Additional +1 Dex -1 Size +5 Natural = 22, 26 if using Force Shield. (As Brown Bear): Claws +13/+13, 1d8+10 (Str), Crit 20/x2, Bite +8, 2d6+10 (Str), Crit 20/x2. Adept x2: Acrobatics, Gather Information, Linguistics, Martial Art, Martial Art, Perception, Stealth, and Thievery (12 CP). For quick play… In general all skills are at Base 8, +2 Att (+4 if Int, +0 if Wis), +2 Comp. Witchcraft often +6. Witchcraft I, II, III (18 CP, provides 14 Power and access to Glamour, The Hand of Shadows, Healing, The Inner Eye, Shadowweave, Witchfire, and Witchsight) with Advanced Glamour (+6 CP), Advanced Shadowweave (+6 CP), and Leaping Fire (+6 CP). Total Power: 61, “Caster Level” six, Save DC Will 15 (for all effects). May produce emotion-influencing, telepathic, hypnotic, and illusion-based spell effects of level 0/1-2/3 for 1/2/4 Power, minor animation effects for 2 Power, or spend 3 Power to Haste herself for 3d4 rounds among other, less dramatic, talents. See Witchcraft. Three Witchcraft Pacts: (-18 CP); Taboos (which sometimes trip her up when infiltrating), Tithe, and Duties. Six Int-Based Wilder Casting Levels (36 CP). Provides (35 + 3 x Int Mod) Power and access to the Force Screen (+4 Shield to AC), Sustenance, Knock (Psionic), and Energy Burst (5d6 in a wide radius) disciplines. Racial Shapeshift to Corrupted/Only Bears instead of being Only as a Prerequisite (+1 CP) with the Exemption (items will continue to work as a Hybrid), Hybrid, Large, and Attribute Modifiers enhancements (+12 CP). 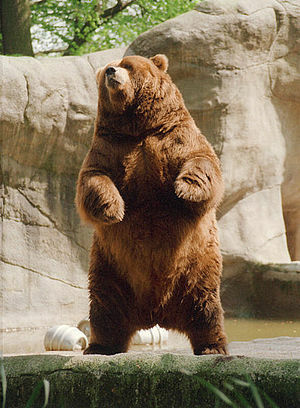 Brown Bear Hybrid form: Large, Str 30, Dex 16, Con 18, Move 40′, +5 Natural Armor, 1d8 Claws, 2d6 Bite, Low-Light Vision, and Scent. Cloak of Resistance +1 (1000 GP). Chain Shirt +1 (1250 GP). Ring of Mind Shielding (8000 GP). Normal Gear: 750 GP, assorted. Game Role: Noita is an infiltrator, beguiler, and assassin. While she isn’t the most powerful warrior around by a long ways, at least in her largest bear-form she’s pretty formidable – and she has a knack for getting into JUST the right place to take out the foe. Her psychic talents are not yet tremendously potent, but they are tremendously flexible, especially considering the immense variety of ways they can compliment her many skills. A slight variant on the Changeling Race package (which for legal could just be called a “lesser doppelganger”. Buy the bonus against sleep and charm as a corrupted Immunity rather than a Resistance. It lets them develop more like a Doppelganger if they buy off the Corruption later to simulate the full Doppelgangers actual immunity to such. Specialized: Only the subschools of Charm and Sleep. Which really over restricts it if anything, but lets the character grow the ability to a higher resistance later on when higher spell effects like Charm Monster and Greater Sleep come online, as well as getting rid of the Corruption to give real Immunity and not just a save benefit. Oops, it looks like I forgot to post this. My error. Immunity would indeed provide greater benefits; it just didn’t fit the discription the player requested on this one. Ergo, this one isn’t especially optimized. Ah well.